The naïve advice of ardent activists can kill. Last spring, Paul Beckwith of Sierra Club Canada predicted that the Arctic seas would be ice-free ice this summer. (So did Britain’s BBC network.) This exciting adventure opportunity attracted a variety of yachts, sailboats, rowboats, and kayaks owners to try sailing the fabled Northwest Passage. As a former sailboat owner I can understand their excitement, but my heart aches for the agonies they now face. The Arctic sea ice suddenly expanded 60% this fall, after the coldest summer in the modern Alaska temperature record. The passage is now impassable. More than a dozen of the boats are trapped, apparently even including a group of tiny American jet-ski “personal watercraft” that were attempting to cross from the east coast of Russia to the North Atlantic. Arctic observers are now warning that even Canadian icebreakers might not be able to rescue them. The Northwest Passage blog reminds us that fall super storms are a potentially deadly fact in Alaska. “It is only a matter time. . . . Give Mother Nature her due time and she will move billions of tons of sea ice and push it up against the Alaska Arctic coast—effectively closing the door to exit the Arctic ice from western Canada. . . . No icebreakers are going to be able to offer any assistance. 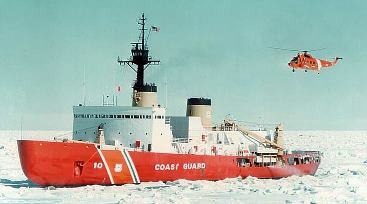 Mother Nature is mightier than all the icebreakers put together.” Note that the Atlantic exit is already problematic. Helicopter rescues on Arctic ice are incredibly expensive, involving hundreds of miles of flying by copters and crews expensively maintained in that icy and sparsely populated region. Additionally, all the lovely boats become write-offs. The boaters ignored major warning signs. The planet has not warmed appreciably in at least 15 years. NASA told us in 2007 that the Pacific Ocean had shifted into the cool phase of its 60-year cycle and that fact predicted cooler winters until 2030. The risks run by the Arctic boaters are obvious. Modern society is running less obvious risks based on the same sort of naïve advice coming from the Sierra Club, Greenpeace, the Intergovernmental Panel on Climate Change, and a host of like-minded “saviors of the planet.” What about the poor and elderly Britons and Germans who have frozen to death in their homes because they couldn’t afford the higher costs of gas and electricity imposed by “renewable fuels”? What about the millions of Third World mothers and children who die of lung diseases every year as it is politically incorrect to give them access to tiny amounts of kerosene for heating and cooking. The alternative is burning dung and charcoal in indoor, poorly ventilated fires. Closer to home, what about the millions of young Americans who can’t get jobs in an economy stalled by overpriced “Green” energy and investor uncertainty over the War on Coal? Inevitably, being gullible carries a price tag. We are just beginning to realize how expensive the naïveté of the environmental movement has become.